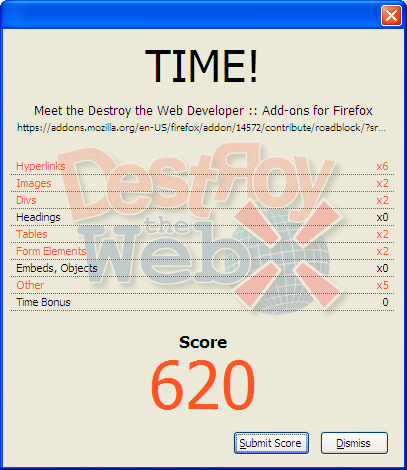 While browsing through Firefox addons in my spare time, I just found this great Firefox addon that can very well kill your boredom and will surprise you with different visuals everytime you play it. In short, this addon will fit your need, when you just need to blast out. The only disadvantage I can see in this addon is its size: 4 Mb should be pretty much for a Firefox addon. But then, it fits the size, and makes playing the game on every webpage a different experience. 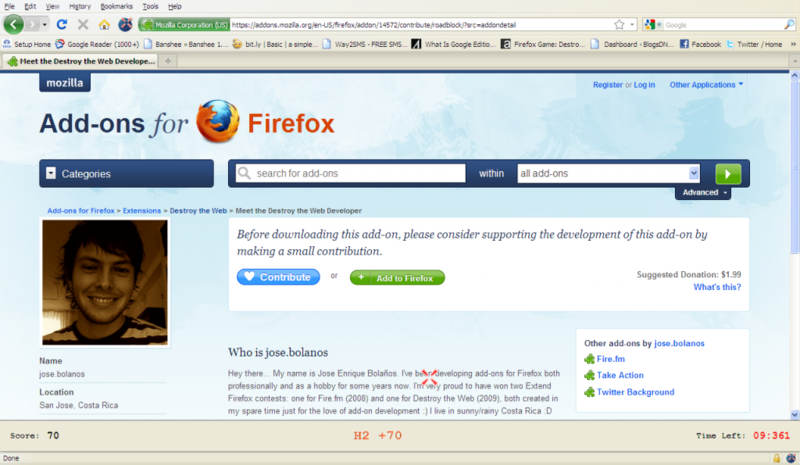 This addon installs a little icon on the botton status bar of Firefox, clicking which you can start destroying any webpage you want. Also after the game you can submit your score, which you can then compare with other people via a database that is maintained on the developer’s website.